Can I be totally honest with you? I think the Holy Spirit has chosen the wrong fear this time. Guilt is like the Mother of all fears and all I feel in this moment is that 30 days is just not going to put a dent in this fear. Maybe this IS the problem. I think I can “deal with guilt”; move it, change it, get rid of it. Good grief. I am right back where I started thinking I need to change guilt to suit my purposes. Or maybe I can. Change guilt to suit my purposes. Isn’t that what a different perspective is? What is guilt really? For me it is feeling that I have something other people don’t. I have known from very early on, that I led a charmed life. I had loving parents, a beautiful brother (who remains to this day one of the finest men I have ever know), a handsome Cavalry Officer for a husband, two children who daily wow and thrill me. I have always loved my home, even when it has been an army married quarter with just the right number of electrical outlets and chairs prescribed for the appropriate rank. I love my dear and precious friends, my corgis and I even love to brush my teeth. There. I have said it. I was given a wonderful life. You have no idea how guilty it feels to have everything you have ever dreamed of and still see pain and suffering in the face of a friend or read the tragedy of the day on the front page of the newspaper. worthy of abundance? Why doesn’t everyone experience joy and abundance? I just this minute am glimpsing the possibility that guilt comes with a gift. The gift is the desire to see differently. Is it just possible that in what I see as not-abundance or not-joy there could be just another flavor of abundance? A new color of joy that no one yet has named? I extend innocence to guilt. 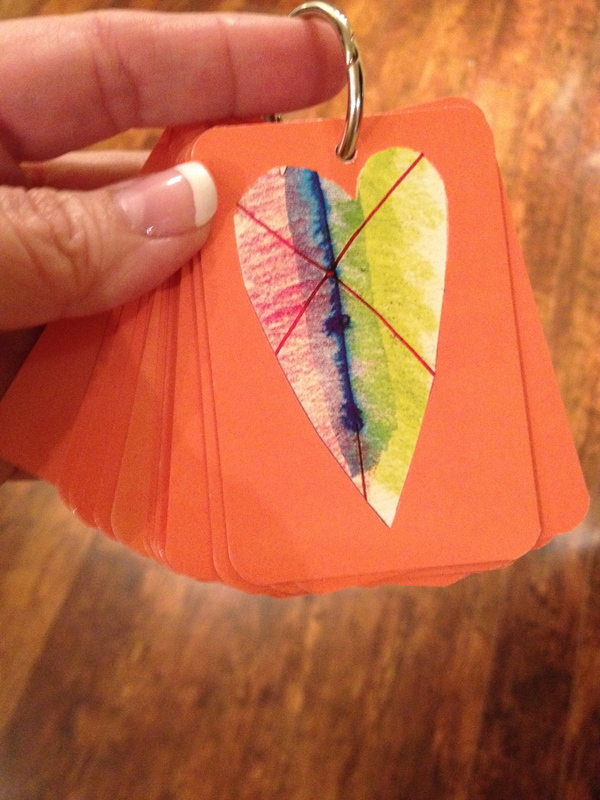 Truly, I did pick out of a pack of thirty qualities of love cards INNOCENCE. If that isn’t a hoot. I feel as if I just got a wink from the Holy Spirit. Guilt is just another opportunity to experience innocence.